Form fits function: It was the capacity of a 45rpm disc, the prevailing musical distribution tech of the 1940s, that led to the 3 minute pop song, a length which still prevails 60 years later. But it’s 2018, and thanks to Instagram’s 60 second video limit, we’re the beneficiaries of a new wave of attention-deficit-optimized music, including an entire “album” of 15 one-minute songs from the artist Tierra Whack. We loved this Dazed Digital piece that hits on a number of favorite Edge themes: a historical dataset of the Billboard 100, psychological research on attention spans, and the monetization structure of a Spotify stream. If this is a topic of interest, we’d also recommend this 2014 classic from Derek Thompson at the Atlantic, The Shazam Effect. Content applications of artificial intelligence don’t have to be complicated to be great. This is a lesson we continue to shout from the rooftops. Our favorite Twitter discovery this week was @NYT-first-said, a bot created by Max Bittker. It cross-references the entire archive of NY Times articles throughout history, and tweets when a word appears for the very first time. This is the perfect combination of finding a task that would be impossible for a human to execute, is easily comprehensible in the scope of its automation, and outputs something that’s both insightful and fun. 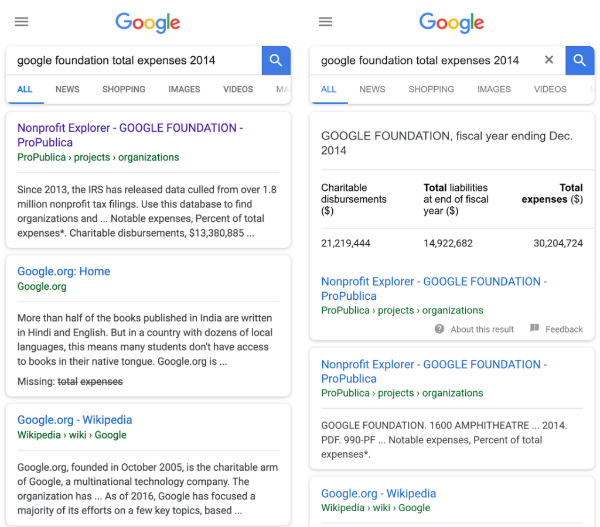 In late September 2016, Google quietly released experimental structured markup to get dataset info more search-engine friendly. SEO blogs quickly picked up on the available details, which were pretty scant — this was an experimental feature that had no effect on search results. Recently, Google released news of structured data you can add to your existing page’s tables — linking to the same documentation they did two years ago. What began life as an experiment to make scientific datasets more accessible via search, morphed into an initiative to support data journalism: “in a polarized world, facts and data can provide valuable context for the debates swirling around us.” Oh have the times changed. You can see the feature in the screenshot below, though we haven’t seen it live on our end. Learn more: structured data; the documentation on dataset discovery. Music is a bridge to our emotions at a particular point in time, and perhaps nobody understands this better than Spotify. The personal stories that our playlists generate can be used for more than just creators’ Spotify End-of-Year summaries. 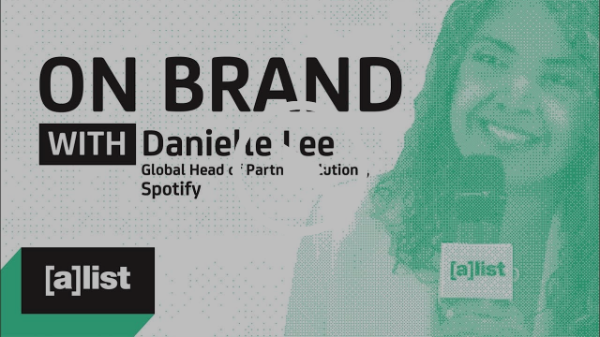 Danielle Lee, global head of partner solutions at Spotify, describes the brave new world that combines APIs, storytelling, consulting, marketing and emotional connection. You can see Lee’s example of Spotify’s recent Snickers campaign (about 50 seconds in). Given this is the 2nd straight week with a piece that discusses creative usage of Spotify’s API, we admit this is one of the more fascinating areas of marketing for us. 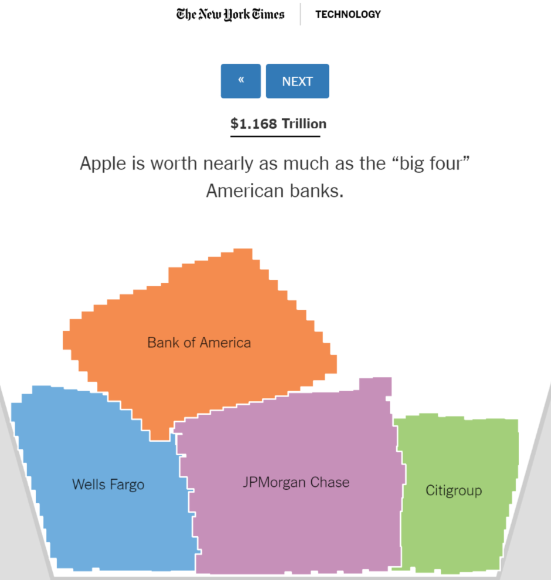 This data visualization from the NY Times is simply one of the best we’ve ever seen. As we’re sticklers for how things look on mobile, it’s even more impressive how well this complex design translates on your phone. Newsletters can be incredibly short, even relaying just one insight or stat. While this seems obvious, not many put this into practice. “Think With Google” does a great job with their Weekly Thought Starter email. It tells you one marketing statistic and links out to a longer blog post on the subject. This format both lends itself well to their portfolio newsletter approach, as well as their “micro-moments” ethos. They save their longer marketing newsletters for the end of the week, but on your busy Monday morning send you an incredibly quick tidbit. Second, in terminological solidarity with the above satirical account, but in the realm of the very real, we recommend this piece from the BBC, 12 new tech terms you need to understand the future. A few of our favorites were “Brainjacking” and “Plane Li-Fi”. Like the conclusion we reached by the end of our analysis of 1,300 Axios emails, the “secret” of great newsletters isn’t a secret at all — it’s good journalistic practices. Weekly Edge Parable: Channel Mr. (Simon) Rogers, stop using apps, analytics, and anything other than excellent writing/journalistic practices as a crutch for great information newsletters. They assist, they do not create.